What? Could spell can’t or even crap. Work it out for yourselves. 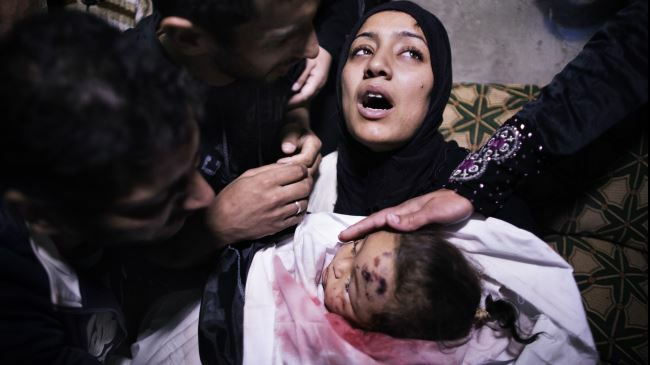 The mother of 10-month-old Palestinian girl, Hanen Tafesh, killed the day before in an Israeli air strike, is comforted by her husband and relatives as she mourns before her funeral in Gaza City, on November 16, 2012. Israeli army sources say pictures of a devastated Gaza neighborhood have been distributed among Israeli soldiers as a memento. The photos, showing Gaza’s Shijaiyah district before and after Israel’s destructive attacks, were circulated among soldiers who were engaged in the aggression in the Palestinian coastal enclave. 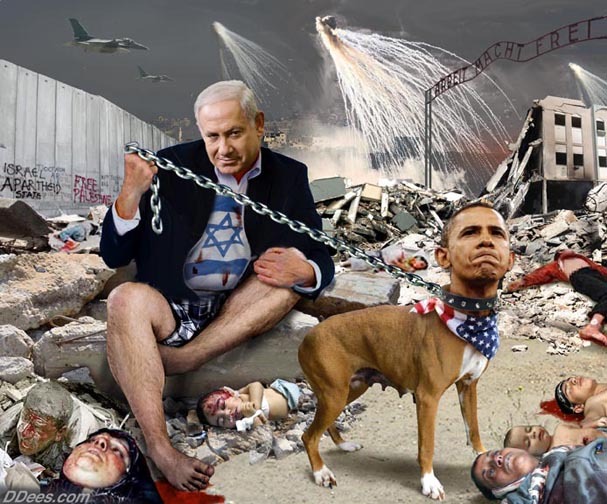 Jews stand shoulder to shoulder with Palestine. 19 year old school student Barnaby gives a stonking speech on why he’s proud to be Jewish protesting against the massacre of Gazans. Don’t let the media tell us that being against Israel’s atrocities, and the Israeli State occupation of Palestine is anti-semitic. Between five and ten thousand people defied the police in Paris last Saturday and protested in solidarity with Palestinians. 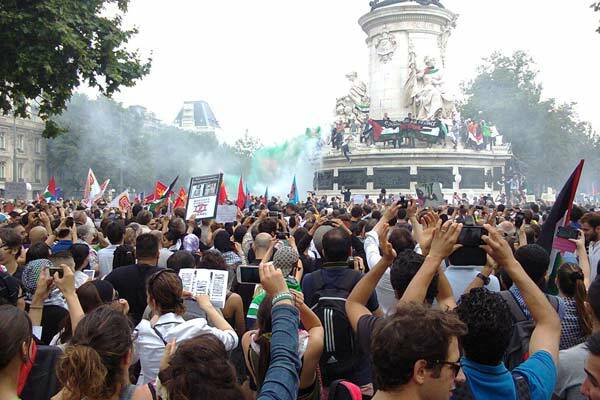 This is the second consecutive week that protesters in France have resisted a ban on Palestine solidarity protests. In the face of resistance to the ban, the authorities allowed a static demo at Place de la Republique square, central Paris. But vans of riot police patrolled all entrances to the square, carrying out stop and search on anyone carrying flags and keffiyehs. Despite this the number of protesters swelled, taking over the square. Some climbed the Republique statue, the symbol of the French state, and released flares in the colors of the Palestinian flag.